Evans Yego of the tiny Sunbelx supermarket team won the more conservative 5000 m A-heat in 13:48.04, a race most notable for high schoolers Luka Musembi (Sendai Ikuei H.S. ), Masato Suzuki (Suijo H.S.) and Reito Hanzawa (Gakuho Ishikawa H.S.) all breaking 14 minutes. Earlier the same day, Yego's teammate Ezekiel Cheboitibin won the nearby Setagaya 246 Half Marathon in 1:02:49 over a raft of second-tier Hakone Ekiden runners, setting up options for Sunbelx head coach Yukio Suzuki for the team's second-ever New Year Ekiden appearance. Following some downtime after rocking an 8:54.88 in last month's National Sports Festival women's 3000 m, high schooler Shuri Ogasawara (Yamanashi Gakuin Prep H.S.) got back into it with a 9:15.40 shakeout to win the Nittai women's 3000 m A-heat ahead of the upcoming regional and national high school ekiden championships. Helen Ekarare (Sendai Ikuei H.S.) took the 5000 m A-heat in a solid 15:14.79. To the south, former Nike Oregon Project runner Nozomi Musembi Takamatsu ran her best race since returning to Japan, winning the Kyoto Time Trials women's 3000 m in 9:16.83. Many more top-level Japanese women ran in one of the two simultaneous women's ekidens that happened Sunday afternoon. In Fukushima, 2015 East Japan Women's Ekiden winner Chiba returned to the top, running most of the way side-by-side with last year's winner Nagano until a brilliant 9:14 for the 3 km Eighth Stage by junior high schooler Hinata Minami put Chiba ahead for good. Chiba anchor Natsuki Sekiya spread icing on the cake with the fastest time on her stage, winning it in 32:09 over the 32:36 by Nagano anchor Ai Hosoda to bring Chiba home in 2:18:37 for the nine-stage, 42.195 km race. Nagano was next in 2:19:21, with Ibaraki anchor Yukari Ishizawa outrunning 2:21:36 marathoner Yuka Ando by 4 seconds to take a surprise 3rd. Ando's London World Championships marathon teammate Mao Kiyota also ran for Shizuoka, leading off on the First Stage. Further west in Fukui, National University Women's Ekiden 4th-placer Osaka Gakuin University surprised the field of top corporate, university and club teams with a win at the final edition of the Fukui Super Ladies Ekiden. With the Kyudenko corporate team a scratch Osaka Gakuin lit a slow burner, starting the race in 9th and moving up to the 3rd by the fifth of the 30 km race's six stages. Anchor Maho Shimizu ran the fastest time on the last stage, 26:05 for 6 km, to run down rival Fukuoka University and longtime leader Hitachi to win by almost 40 seconds in 1:39:15. Sadly, after a 33-year history the Fukui Super Ladies Ekiden is scheduled to wrap permanently after this year's race. While the corporate men of East Japan were twiddling their knobs at Nittai and Setagaya 246, their counterparts in two other regions were duking it out to join them at the New Year Ekiden. At the Osaka-area Kansai Corporate Men's Ekiden, SGH Holdings Group, the only team in the region to include an African team member, led almost start-to-finish to win by more than two minutes. 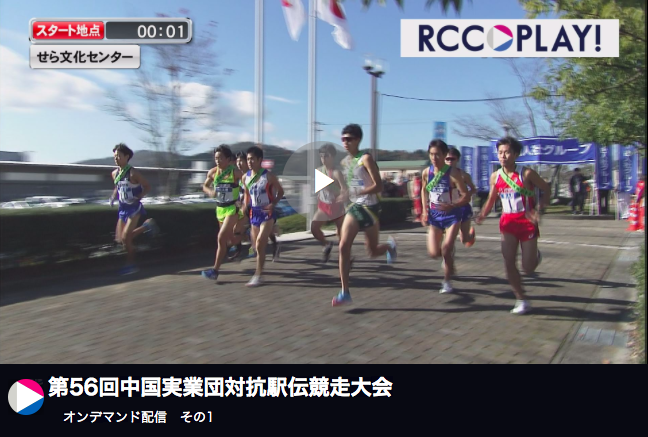 The only interruption came from the Yasuyuki Watanabe-coached Sumitomo Denko team, whose wunderkind rookie Hyuga Endo made his corporate ekiden debut in style, running the fastest time on the 10.87 km Third Stage, 31:06, to put Sumitomo Denko ahead briefly. Along with the two leaders, NTT Nishi Nihon and Otsuka Seiyaku both scored New Year Ekiden spots, a do-or-die outcome for many smaller teams. At the Hiroshima-area Chugoku Corporate Men's Ekiden, last year's winner Mazda again beat past area powerhouse Chugoku Denryoku to take the top spot, winning by 24 seconds thanks in large part to official MVP Kenji Yamamoto, who set a new stage record of 56:37 for the 19.0 km Sixth Stage. The tiny Chudenko team scored the final New Year Ekiden ticket, putting an end to the JFE Steel team's 40-year+ string of New Year Ekiden appearances as they beat JFE by three minutes for 3rd. Former Sera H.S. ringer Charles Ndirangu was one of the few bright spots on the JFE team, running 19:59 for the 7.2 km Second Stage ahead of his marathon debut at the Fukuoka International Marathon in three weeks.